Chelsea are considering spending in excess of £120m on Everton striker Romelu Lukaku and Southampton defender Virgil van Dijk, according to The Mirror. There are a handful of games left to go in the domestic season, but already clubs will be working on their transfer plans behind the scenes. Chelsea owner Roman Abramovich tends to hand over significant funds for his managers to spend, and this time around, Antonio Conte is expected to look closer to home. 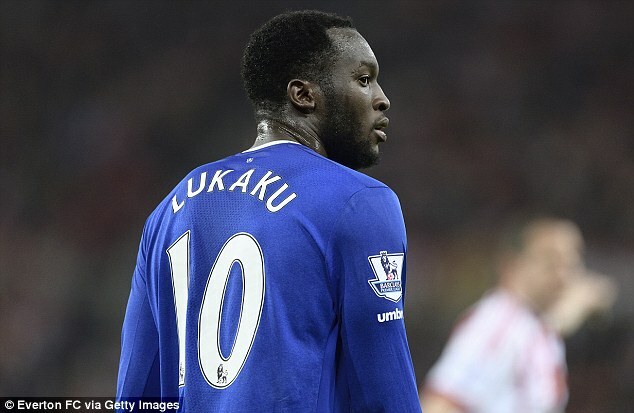 The Mirror reports that Lukaku and Van Dijk are at the top of his wishlist this summer, but it will cost the Blues over £100m to seal the two players’ signatures. Conte is believed to be keen to strengthen his squad further at the end of the season, which could see the team crowned Premier League and FA Cup winners. Are Lukaku and Van Dijk worth the money? There is no doubt that Chelsea are targeting quality players, and given the current market, spending over £100m in a transfer window is fairly common when it comes to the so-called bigger clubs. However, there is a slight risk bringing in the pair for that kind of money. With regards to Lukaku, he has been prolific in front of goal for Everton this season having netted 24 times in the Premier League, making him the division’s top scorer so far. The issue is that the Belgian failed to make an impact during a three-year spell at Chelsea between 2011 and 2014, resulting in loan spells at West Bromwich Albion and Everton before a permanent move to Goodison Park. Having said that, Lukaku has improved drastically over the last few seasons and to possess the goal threat that he has at 23 years of age, suggests that he can only get better. As for Van Dijk, during the early stages of the campaign, he was arguably one of the best centre-backs in the league, but injury has kept him out since January. There is nothing to say that the centre-back will not resume his solid displays at the back when he returns next season, but being out for so long runs that risk. In addition, Conte has used a trio of Gary Cahill, Cesar Azpilicueta and David Luiz for the majority of the campaign, and even though they have failed to keep a clean sheet in their last six games in all competitions, throwing Van Dijk into the mix could cause disruption.